Videogame figurines tend to be the preserve of die-hard fans. They don't fit many decors, for one thing, and also tend to be prohibitively expensive. There's not much anyone can do about the first problem but the Dying Light figurine revealed today gets around the second, sort of, because it's free—as long as you have a 3D printer. Those babies aren't cheap either, and of course you're on your own for painting it, which might be an off-putting prospect if you're not, say, Techland concept artist Krzysztof Baron. There's always the option of leaving it au naturel, too, but either way, it's free. And if you really butcher the job, you can always print off another one. Grab it here. Perhaps more practical is the new website at Harran-City.com, the "official" website of the pretend city in which Dying Light takes place. It includes material from before and after the outbreak, including visitor's guides, links to city departments, the quarantine announcement, and the enactment of martial law. There's also a map of the city indicating major streets and various prominent landmarks, that will no doubt prove useful during your visit. The site also contains tidbits of background information that deepen the narrative underlying the zombie parkour action. "Players can explore the site and see how the city once was, [and] watch as the viral horror slowly unfolds through the eyes of the mysterious hacker," Techland said. 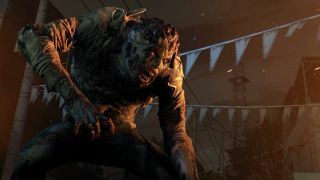 "Players can also begin to piece together the viral outbreak story and other in-game elements that have yet to be revealed as they explore the site." Dying Light comes out on January 27.